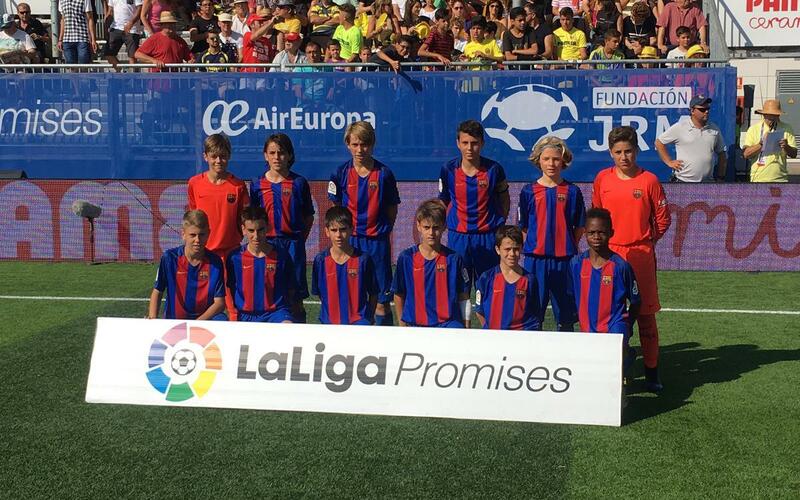 The U12A team was simply spectacular at the LaLiga Promises tournament this weekend. Things got better as the completion progressed, with three straight draws against Valencia, Granada and Malaga followed by a run of five consecutive wins en route to the trophy. Coached by Marc Serra, the boys buzzed past Leganès, Las Palmas, Malaga, Atlético Madrid and Villarreal, with some cracking goals along the way to glory. These included the stunning goal from midfield by Gerard Hernández in the final. This video is worth watching for that alone, but that’s not the only piece of footballing magic you can enjoy simply by clicking above!